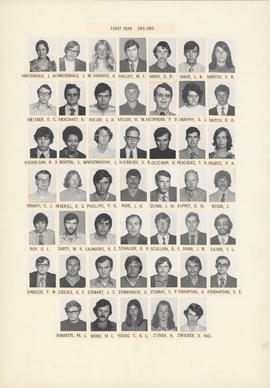 File is two composite photographs of the Dalhousie Faculty of Medicine - First Year Class of 1971-1972. 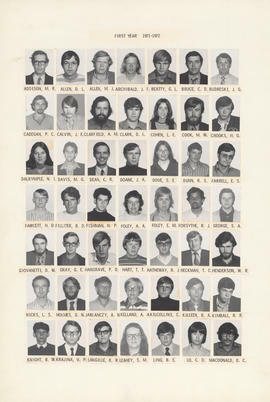 Photographs are made up of 96 individual b&w student portraits. Photographs are mounted on cardstock. Description created by Sophie Boucher on December 13, 2017.